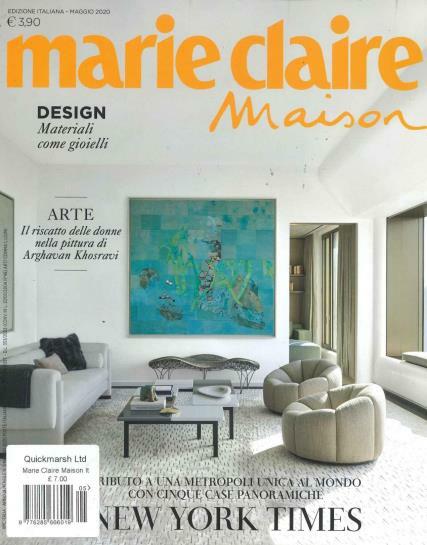 Marie Claire Maison Italia is a monthly Italian version of Marie Claire Maison. Buy a single copy or subscription to Marie Claire Maison magazine. If you are looking for the best styles and looks within the world of interior design, then make sure you pick up this magazine. If you are planning to transform your house from top to bottom into a beacon of trends and beautiful works of art, each issue of these magazines has been crafted for you. Packed full of amazing photographs and relevant articles, it will help you keep updated with the latest trends in interior design throughout Italy. It isn’t for those with huge houses that serve as only an inspirational guide for yourself, as this publication passionately focuses on the improvement of your own home. I enjoy the insight into Italian designers and fashions and the fact that it is in Italian!